Our Innotribe flight 876 from Bangkok to the hyper-connected future landed on schedule on 27 April at 17:30pm local time. It was quite a flight with lots of turbulences. 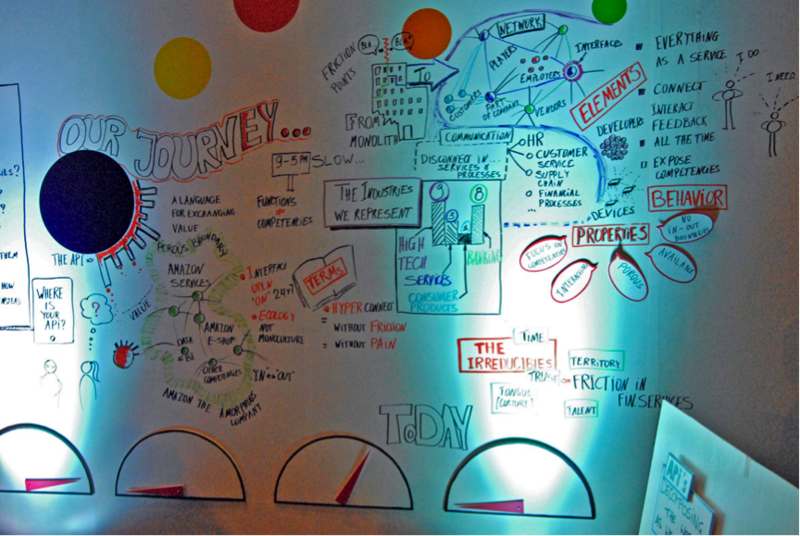 It was one of the first times that we designed an event with a metaphor end-to-end. Our metaphor was that of a flight. We had some nice gimmicks like a boarding pass, seats lined up like in an aircraft, security video and seat pocket flyer. But more importantly, we made sure we took our passengers on a journey, from check-in, taxiing, takeoff, cruising altitude, approach landing: building up the content slice by slice, and not slide by slide. We had expected more people to attend the Innotribe 2-day flight. 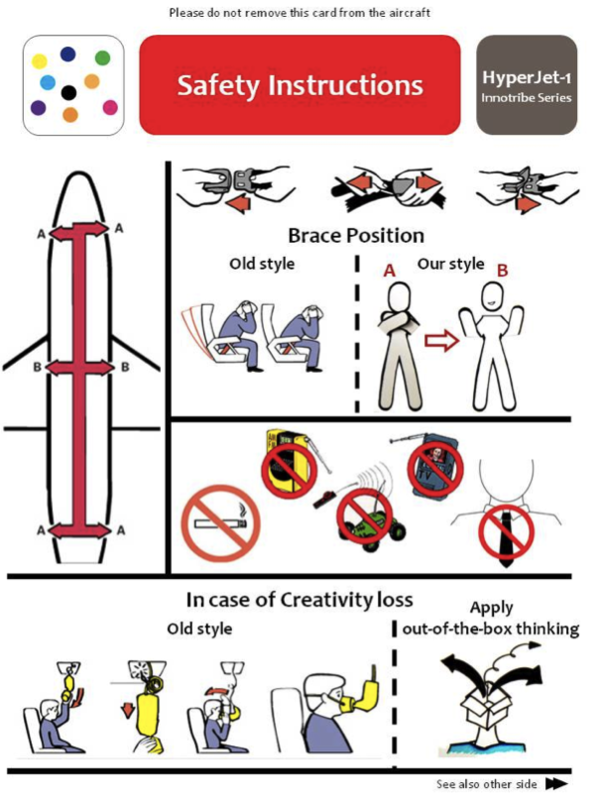 And we tested the agility and adaptability of our team to deal with this by making in-flight changes to the program. 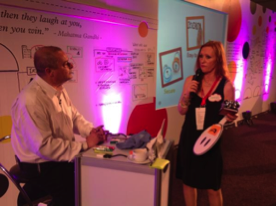 We scaled down day-1 to a “private jet” flight, and day-2 into a new format “Innotribe Unplugged”. I made a separate blog post some days ago on how our team is exploring the limits. 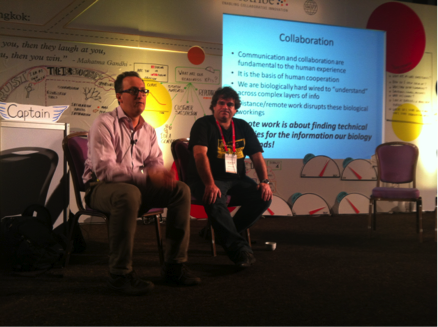 With hindsight, I believe we touched this way on some of the “irreducibles” of Innotribe events. The lack of attendees was made good by a genius move by Matteo @matteorizzi to convince the Asian Banker Summit organization to run their closing session in our Innotribe space. It felt like a complete take-over of the Asian Banker Summit, and to take some perspective here – if I listen to the words of Emmanuel Daniel @EmmanuelDaniel – the Asian Banker Summit will never be the same again. 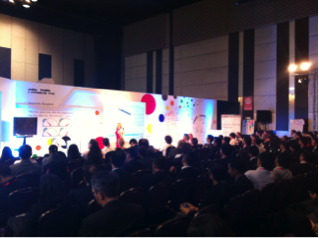 We are with Innotribe Bangkok where we were with Innotribe at Sibos in Hong-Kong 3 years ago. 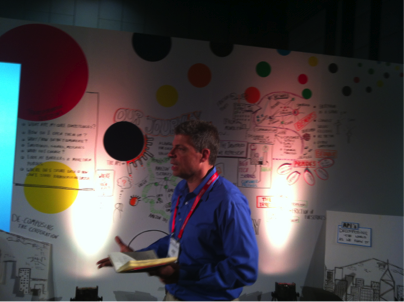 Everybody knows how the Innotribe-way has made in-roads and impact on the overall Sibos event. Expect something similar with Asian Banker Summit in the next 3 years. William Saito @whsaito gave us his insights in Innovation in Asia. 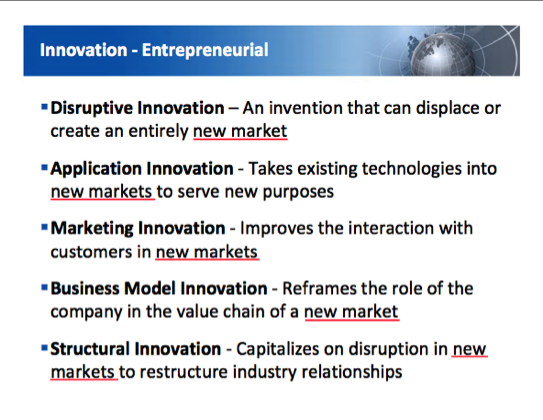 I specifically liked his distinction between “incremental” innovation and “entrepreneurial” innovation, where the latter addresses NEW markets. 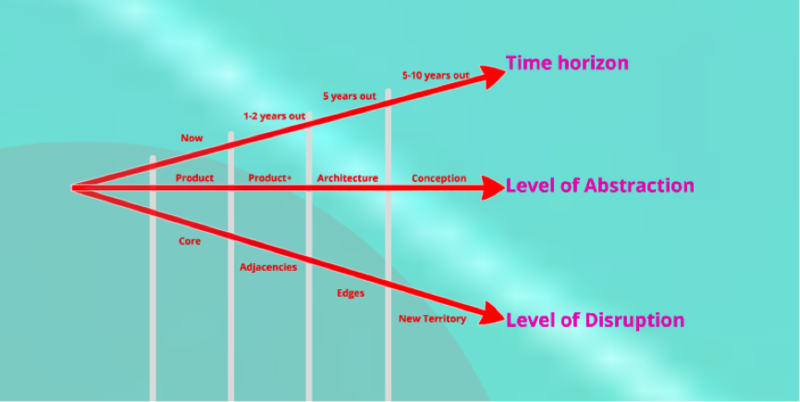 This nicely dovetails with my “levels of disruption” of my TEDxNewWallStreet talk of 11 March 2012. That talk is now on-line on YouTube. I was supposed to give a tailored version of this talk in Bangkok, but we decided to drop it as part of the in-flight changes. The biggest disruption over these 2 days was witnessing the end of highly vertical (financial or other) organizations and the emergence of a new type of organization where horizontal sourcing of point functionalities – exposed through APIs – becomes the norm. The following slide out of Petervan’s API presentation should scare the hell out of bankers. 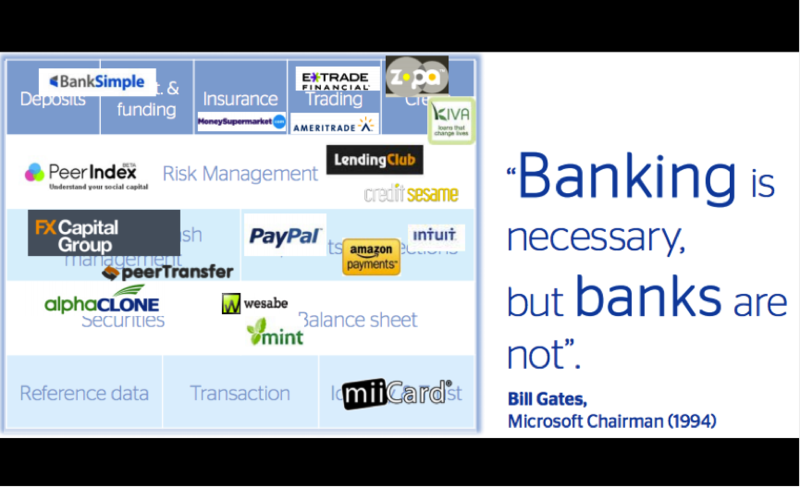 As most of my readers know, the original version of this slide (I saw a version already 2 years ago) comes from Sean Park from Anthemis Group, who did a great “Re-inventing Finance” presentation (Feb 23, 2012) on this specific subject during the LIFT#12 conference this year in Geneva. The slide above is part of that talk, and has evolved a lot since. Recommended viewing! In Bangkok, our flight plan took us first through some basic concepts of this topology, and gradually added evolution of message types (request/response and event signals), identity of the entities in the graph, the choreography/dance of the nodes, collaboration and expression and finally cultural differences and appreciations. One specific theme was on visibility, by Eiji Hagiwara from Mitsui & Co, himself a proficient airplane and helicopter pilot. 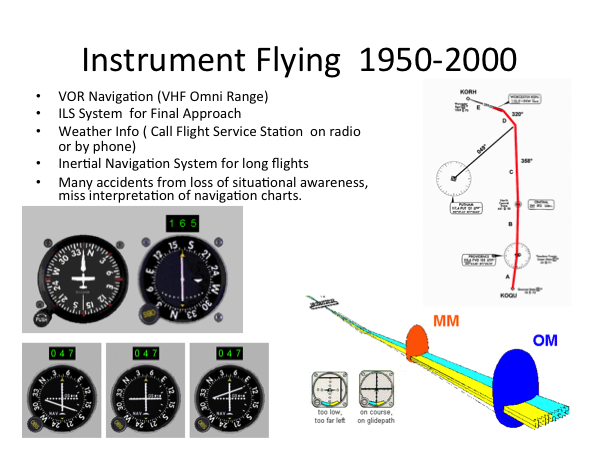 He used airplane navigation systems as a metaphor for visibility in value chains. 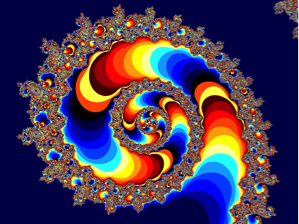 It suddenly became clear to me we are witnessing the birth of a fractal value system, almost layered but probably more like a Spiral Dynamics construct. 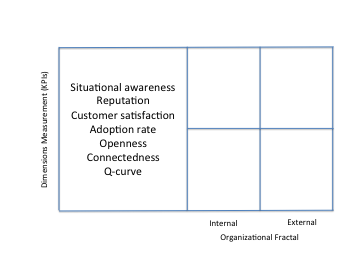 The “zooms” into the fractal are different layers of human and agent organization such as individuals, teams, tribes, companies, and ecosystems. It’s similar to the Second Economy of Brian Arthur, but where Brian Arthur focuses on the machine artifacts underlying the real economy, I am trying to point at the human artifacts and levels of organizations. There are many other possible KPIs: Idea generation, Fitness and Vitality, Autonomy, Agility, Resilience to adapt, Responsiveness, Tolerance, REducing/INTROducing frictions, Openness, Autonomy, Visibility, Connectedness, Enablement of competitors, Density of your eco-system, Sensing, and Purposefulness. 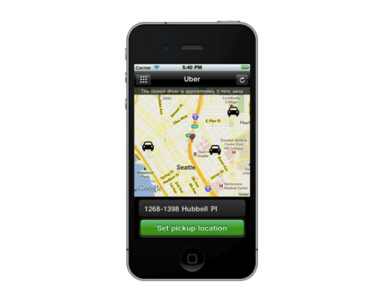 The whole discussion of hyper-connected companies, and especially the story of Uber taxi, made me reflect deeply on the role of the old taxi company as a dispatching service. The dispatching role itself was in essence the friction in the system, and the dispatching service became completely obsolete when the nodes (in this case taxi drivers and their customers) started talking to each other via API’s (in this was built into iPhone apps). 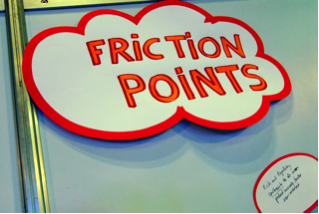 Every company should assess whether it is reducing frictions, or whether it is introducing frictions. 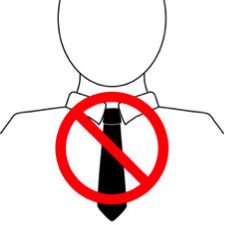 This friction (less)-rule not only applies to organizations and functions but also to people and events. No matter how ‘smooth’ and frictionless hyper-connected commerce becomes, certain frictions in the business world will persist. These represent both speed humps and opportunities. The businesses of the 21st century will find leverage and differentiation by identifying and exploiting them. Tongue – language barriers persist until we all speak Globish. I have already spent significant time on my blog on the topic of digital identity and digital assets. 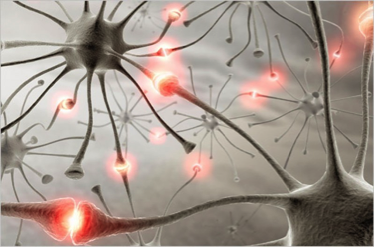 Check-out my post on “The programmable me: we are all nodes in the grid”. 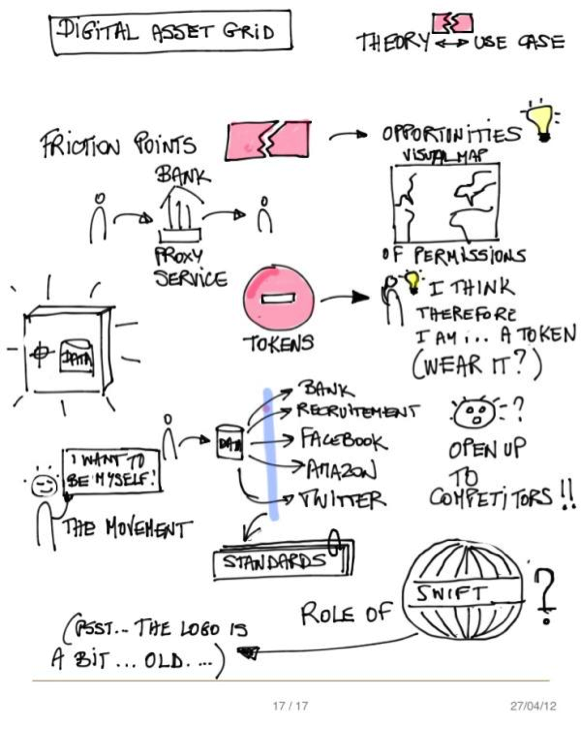 In Bangkok, we started the journey from SWIFT’s recent 3SKey offering, and through a choreography and theater play, we illustrated how 3SKey solved the friction of multiple tokens, but does not solve the friction that customer and personal data information is being kept locked in silos. 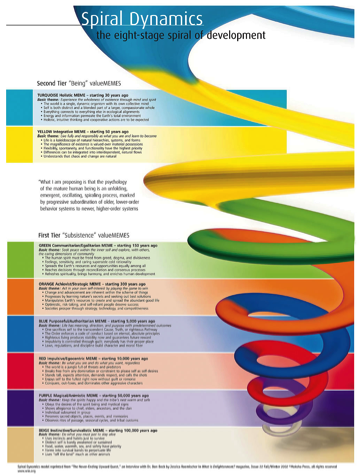 We moved on to the concepts of the Digital Spectrum and the Digital Asset Grid. And we had an exercise for the Innotribe participants to identity frictions solved/unsolved and opportunities for financial institutions in this data services space. The Digital Asset Grid is like oil on fire. Once the API’s of the infrastructure are opened-up, there will be a wildfire or data services popping up, offered by banks ànd competitors of banks. But there is no way back. The only way to be agile in this hyper-connected future is to choose radically for 100% openness, leveraging the skills of the crowd-sourced community, and opening up even to competitors. Exactly like Amazon did: they have made their infrastructure indispensible for the operation of the Internet. When Amazon went down last year, it became clear that 40% of Internet services were running from AWS. The concept of the programmable me is just a start. We are clearly evolving into a world where all entities are recording ànd sharing everything of what is going on. Placeme, built by Alohar Mobile, simply records everything in the background. Robert Scobleizer recently posted this 32-minute video with Alohar Mobile’s founder, Sam Liang, to get a complete description of the app. I recommend watching the entire conversation, but if you skip to the 2:40 mark, you’ll see Liang show you where he’s been and what he’s done for the past day, as captured automatically by Placeme. Or check-out this short video from MIT project P.A.U.S.E.S. , where portable computing is now ubiquitous, and has been a key factor in fueling the explosion of social networking. These guys are exploring the projecting a better version of ourselves through edited sharing of our lives. Don’t be surprised to see more and more of the “tricorder” functionality coming up in next versions of Siri on Apple iPhone 6 later this year. It is clear that for this short of sharing of digital assets and footprints or even better “footstreams”, there will be a need for a Trust Framework, and some level of standardization of the semantic in this space. Just when everybody more or less got it that we are talking here about a real-time sharing of signals between all sort of nodes in the grid through APIs etc, we injected a first turbulence into our flight. Guibert Englebienne @guibert did a fascinating talk/ignition on Corporate Fitness, focusing on the body of the organization. Guibert talked about the corporate fitness of Globant.com and the their clients, and as the day progressed with discussing the KPI’s, I wondered how much of these internal measurements Guibert would be ready to share with his customers and other stakeholders. We also had some interesting thoughts on what companies would have the guts to publish a real-time leadership satisfaction index based on the crowd-sourced results of assessments by staff. That would be quite some innovative form of transparency! Jennifer Sertl @jennifersertl is all about corporate “soul”, the mind-complement of the body. 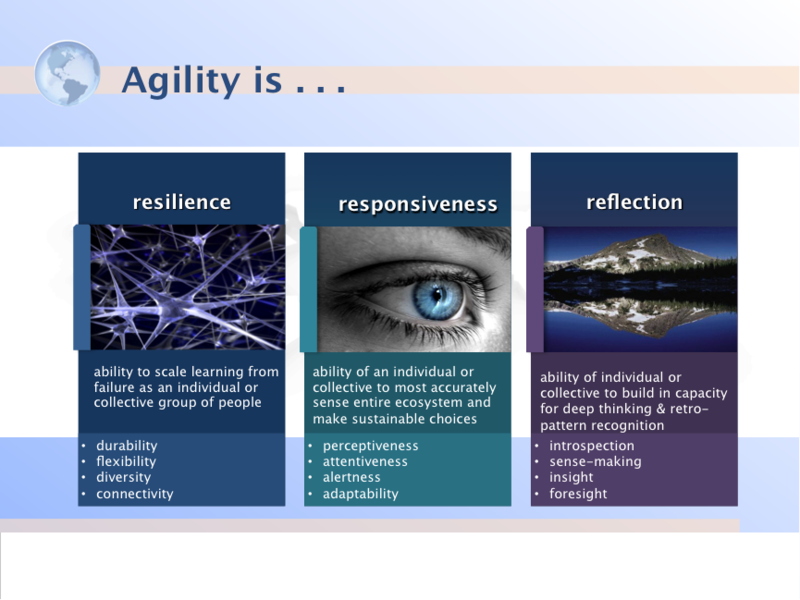 Jennifer inspired us all with the 3 R’s of Agility: Resilience, Responsiveness and reflection. 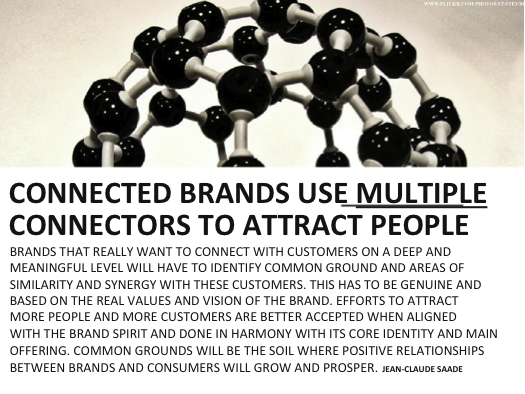 It became clear for me that the 3 R’s both play at company and individual level. Jennifer wrote a book about it, where she explains that the real magic happens when the individual and company value prisms are aligned. But these are fairly abstract concepts, and to ensure that all participants internalized these through an immersive learning experience, we let them play casino-game, letting everybody fill in their own cultural meaning of the words resilience, responsiveness and reflection. 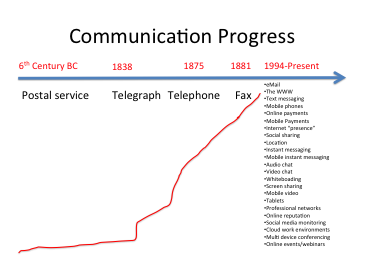 As a well-oiled tandem (they just met a couple of hours before); Dan Marovitz @marovdan and Matt McDougall @sinotechian looked into the history of communication and collaboration. 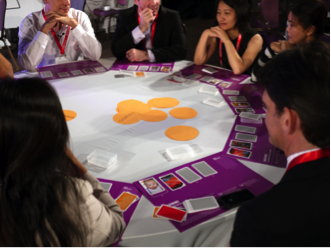 I have a dream: I would like to see an Innotribe opening session at Sibos with William, Sean, Mark, Guibert on the tatami. 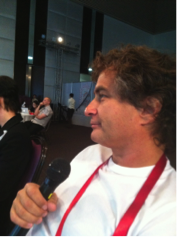 I am looking forward to the grand-finale of that Start-Up Challenge in Osaka. In Bangkok we had the opportunity to see the pitches of the winning candidates from the APAC competition just a couple of days before on 24 April 2012 in Singapore. In case you were wondering what the flight number 876 is all about: 8 connectors, 7 KPIs, 6 irreducibles. SWIFT African Regional Conference 2012 Kampala, Uganda: 8-10 May. Here we are part of a classic SWIFT regional conference. Matteo and Martine will be there with one Innovation plenary, and two Innotribe Labs, one on Remittances, and one on Mobile Payments. The Age of the Empowered Customer, Sydney: 8 May. This is a small-scale event for 40 people, invitation only, organized together with Microsoft Australia. Innotribe@Belfast on 13-14 June 2012: this is a full-blown Innotribe event like Innotribe Belfast. We already received the first registrations. 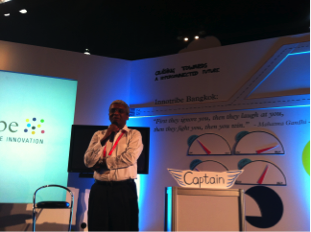 Innotribe Bangkok would not have been possible without the help of the Asian Banker Summer, our APAC colleagues and the full Innotribe team. Special kudos to the Innotribe design team with Mela, Martine, and Dominik. Also thx to Kosta, Matteo, Nektarios and Muche for helping out with all the executions and facilitations.